11 | Layers, textures, and color, oh my! 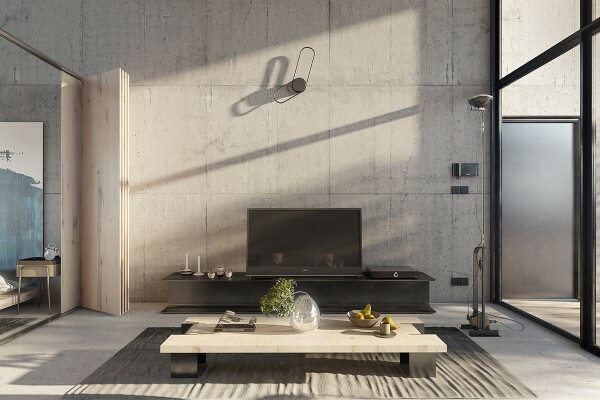 The harsh concrete walls are softened by this massive statement piece that despite it’s cool color, brings out the rich golden undertones of the rug, chair, bed, side table and lamp. 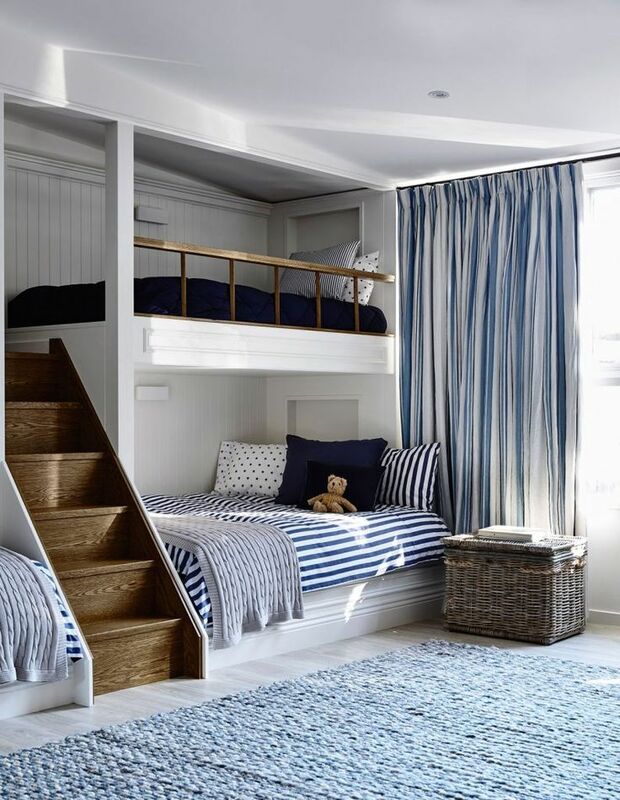 As if that wasn’t enough, the variety of textures in the rug, walls, and bed add much needed dimension to this large space. 18 | This final space has a wonderful organic feel thanks to the green and mustard color combination. These natural colors draw your eye in, and away from the dark cool walls. 12 | Now, like I said before, just because something is ‘cool colored’ doesn’t mean it can’t add warmth. Infact, the deep blue used to accent the loft practically brings those sweeping views of the sky right inside. Contrast against warm wood tones with a midcentury vibe — this space is intrinsically inviting. 6 | Don’t these chairs remind you of art stools from school? Well, no arts and crafts are needed here to warm up this area of the loft! The warm wood, brushed metal, and curved lines soften the space and contrast beautifully against the tall and straight table. 19 | Another play on retro outdoor furniture, this piece breaks up the rectangular shelves that are the main backdrop to this loft. 25 | The metal chairs pop against the natural surface of this wooden table, and really let’s the pool’s deep blue take center stage. 24 | The geometric light, almost resembling the constellations, perfectly contrasts against the warm wooden chairs with sweeping curves. 27 | White doesn’t have to be stark! When layered with other whites, it can really make a space pop, especially around such greenery. 17 | Opposites attract! Don’t try and hide your space’s disadvantages like being too cold and harsh, instead play off of them. 3 | Layers are a great way to take away from the starkness of any space. Layers of your favorite books and magazines on a table always makes a space feel more inviting. 23 | Dine under the stars in this modern yet whimsically organic space. 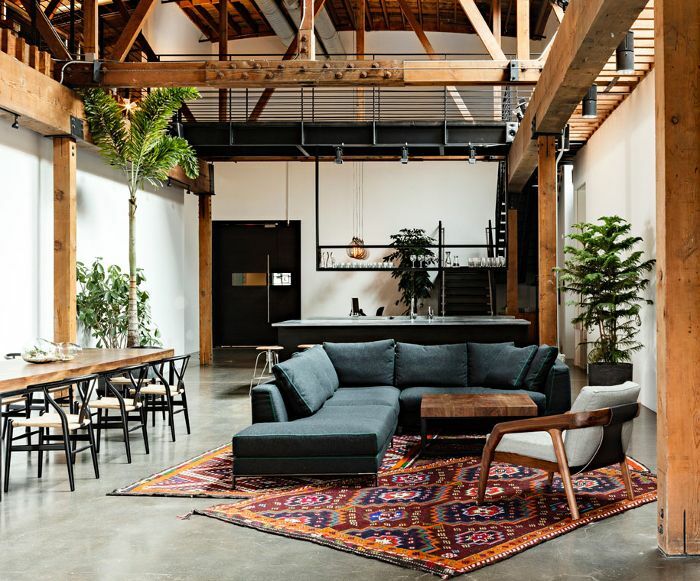 Lofts are known for their harsh lines, exposed metals, a wide open spaces — so typically, they aren’t associated as being cozy and inviting. 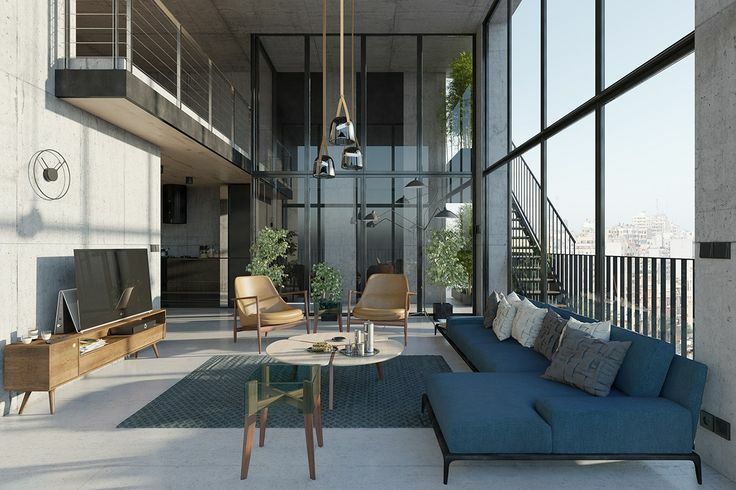 But in the heart of Beirut, architect Bernard Khoury and Cleer design studio have teamed up to create spaces that are just as warm and indulgently layered as the city’s food and history. 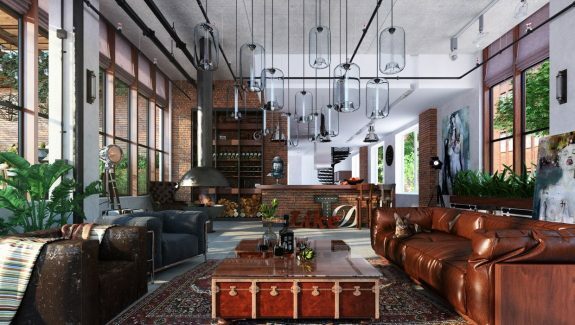 Whether you’re looking to add a bit of industrial chic, or you want to lose some of the starkness of your own loft, you’ll want to check out these spaces. 5 | The actual ‘loft’ part of a loft often feels dark and forgotten. But with access to natural light, and a warm accent piece this place feels cozy and far from forgotten. 21 | Layers of books, wooden drawers, and house plants add much needed dimension to this long flat wall. 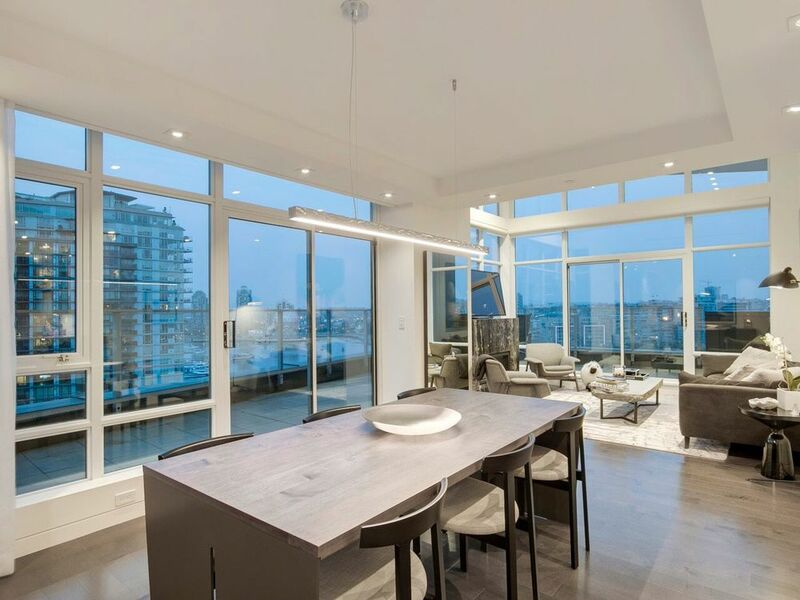 4 | Natural light is still one of the best ways to warm up a cool space. 22 | The warm natural light reflects beautifully on, and through, this dining table. The table keeps the space feeling open, but once again adds layers. 10 | This chair may play off some of the harsh lines found throughout the loft, but it’s curves — both rounded and squared soften it up. 15 | The curves of the chairs and coffee table, as well as their warm neutral tones make you forget all about those cold floors and tall metal windows. 20 | The layers here are superb. While metal, warm yellow fabric, a woven rug, and that marble table add much needed dimension to this wide open space. 14 | The space mirrors the views: blue like the sky, and dusty and brown like the buildings outside. On top of that, look at all those layers! The light hanging from the ceiling makes the space feel cozy, and yet the floor map draws your eyes up with the shades at different heights. Then there’s the side tables: all different heights and sizes which keeps the space interesting. 26 | Deliciously organic, these chairs add whimsy to the harsh lines of this loft. Doesn’t the green one remind you of the top of a celery stick in a bloody mary? This big rectangular patio is broken up by these curves, making it the perfect corner to kick back and enjoy that drink. 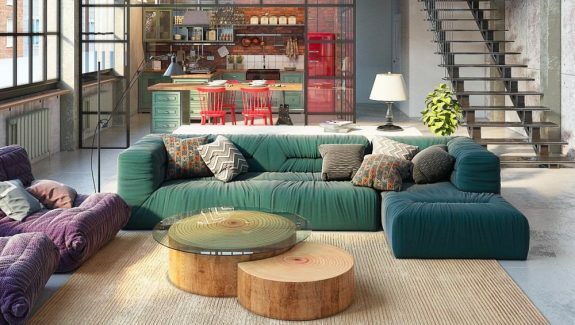 1 | Architect: Bernard KhouryDesigner: Cleer StudioCold metals and cool colored walls may make this loft the perfect place to chill, but exposed wood, and layers of different textures warm this loft right up. 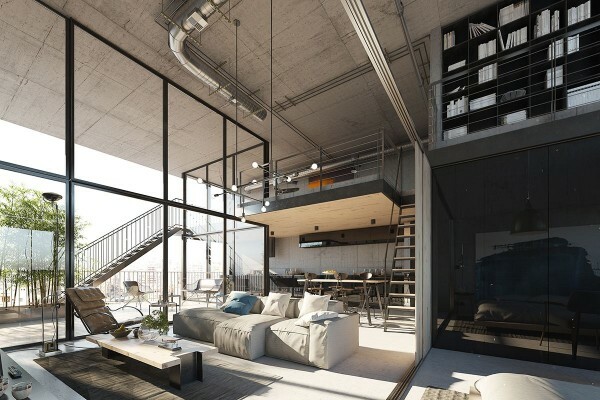 On top of that, take a look at those massive windows letting in all that warm desert light. 8 | Rich and rusty colored metal is blanketed in smooth chocolatey leather in a stunning juxtaposition. 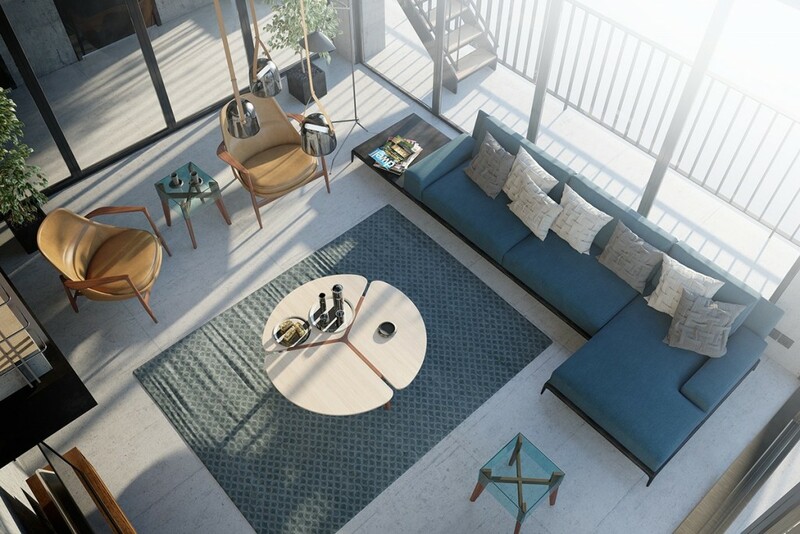 The couch and chair combo are reminiscent of retro outdoor furniture, but are modernized with these clean geometric shapes, and swooping curves. 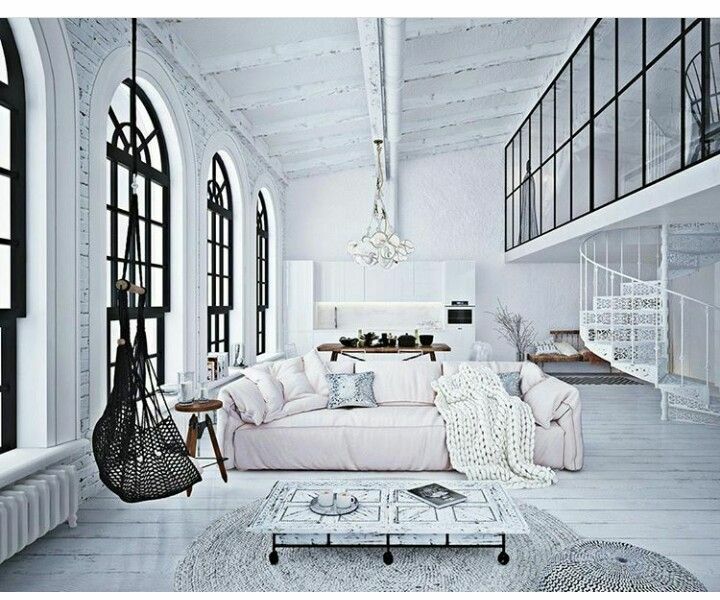 Contrasts like these are the name of the game for this warm loft. 16 | There’s that beautiful contrast of organic and geometric again! This time — also with a pop of color. 2 | Warm greys and lots of natural light are easy ways to warm up a space. 13 | The toffee colored wood and the deep blue distract from the cold floors. 7 | This patio feels organic and is easy on the eyes despite being composed almost entirely of metals. But that kind of contrast is exactly what the designers have mastered here in this space as well as the others you’ll see. 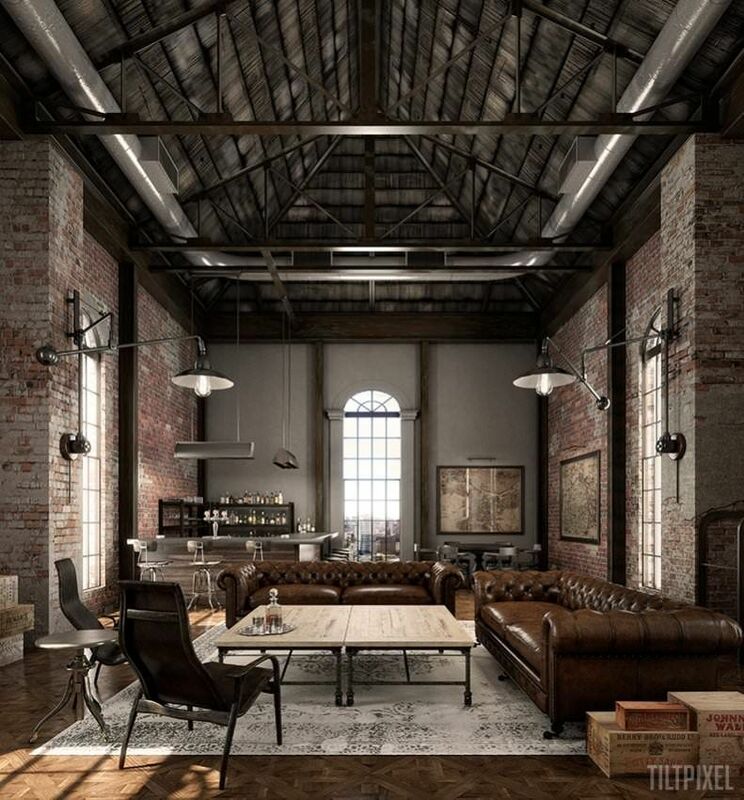 The interesting photograph below, is part of Lofts That Are Anything But Industrial Stark write-up which is grouped within Home Design Interior 2018, are,that,stark.